On a high after extracting revenge against Sunrisers Hyderabad, Royal Challengers Bangalore will look to continue their winning streak when they take on Kolkata Knight Riders in their IPL match in Bangalore on Thursday. Led by the energetic Virat Kohli, RCB trounced Hyderabad by seven wickets on Tuesday and the RCB skipper will be hoping that his men will not go haywire after making a good start, which was their story until the last IPL. On the other hand, after losing to Rajasthan Royals in their previous encounter, KKR will look for a reversal of when they play their third match against the southern powerhouse. RCB were impressive against Hyderabad and Kohli and R P Singh starred with bat and bowl respectively. RCB were bolstered by RP Singh's three for 27, after Kohli notched up a blazing unbeaten 93 off 47 balls. He struck 11 boundaries and four sixes in an innings that helped Bangalore register a win with 14 balls to spare. 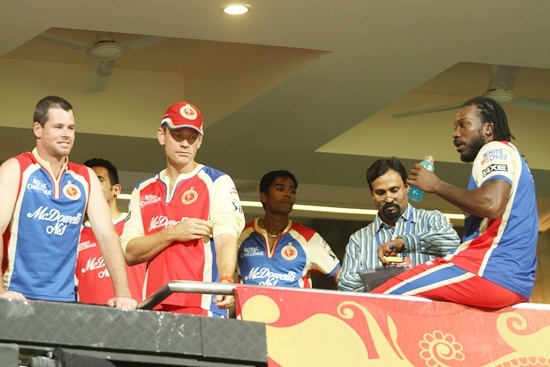 RCB will be hoping to get a rollicking start from Gayle, who failed to make an impact in the last two games. AB de Villiers will hope to fire after scoring 15 vital runs in a 49-run partnership with his skipper against Hyderabad. The rest of the batting too has solid names such as Tillakaratne Dilshan, Andrew McDonald, Mayank Agarwal and Moises Henriques apart from Arun Karthik and Vinay Kumar. In the absence of RCB's bowling spearhead Zaheer Khan, Vinay Kumar has led the pack admirably. 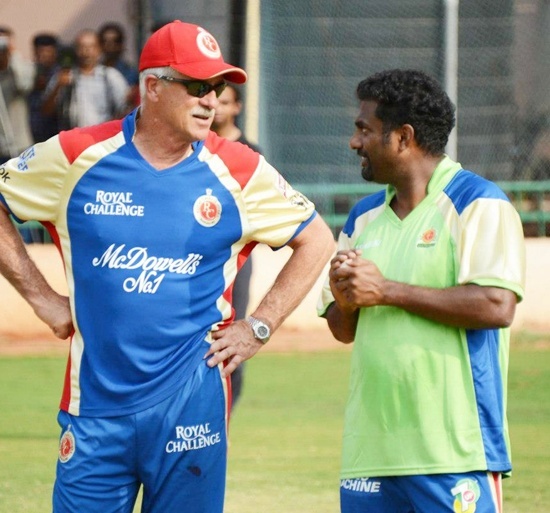 Muttiah Muralitharan and Murali Karthik would like to carry their magic of prudence and frugality into the next game. KKR, in contrast, have failed to capitalise on their good start having lost their last match to Rajasthan by 19 runs chasing a rather easy target of 145.In their encounter with the RCB, KKR will look for a better batting performance and build partnerships to bounce back. Jacques Kallis, Gautam Gambhir and Manoj Tiwary would be expected to deliver after a rather unimpressive start. Gambhir will look to give KKR a solid start alongside Manvinder Bisla, the star of last year's IPL final. A good start would help Kallis, Tiwary, Yusuf Pathan and Laxmi Ratan Shukla break the shackles. Eoin Morgan will be desperate to carry his form into the next match against RCB, after scripting a fighting innings against RR in the last match. 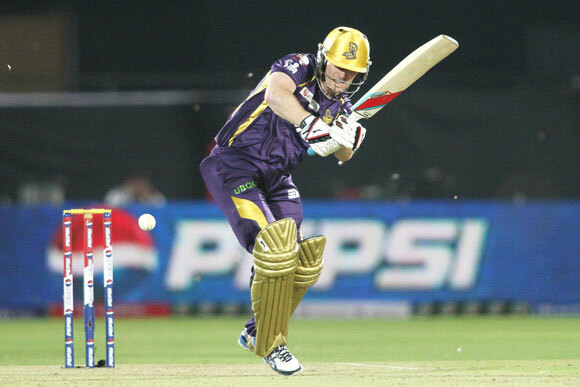 The Englishman was the only successful batsman for KKR, scoring 51 off 38 balls. Brett Lee and Sunil Naraine, along with either Shami Ahmed or Laxmipathy Balaji, will try to work some magic and freeze top RCB batsmen. Royal Challengers Bangalore: Virat Kohli (captain), Abhimanyu Mithun, Abhinav Mukund, Andrew McDonald, Chateshwar Pujara, Christopher Barnwell, Daniel Vettori, Harshal Patel,KP Appanna, Moises Henriques, Chris Gayle, Tilkaratne Dilshan,Mayank Agarwal, Daniel Christian, Karun Nair, Arun Karthik, Junadkat, Vinay Kumar, Muttiah Muralitharan, Murali Kartik, Pankaj Singh and P Prasanth. Kolkata Knight Riders: Gautam Gambhir (captain), Brad Haddin, Brett Lee, Debabrata Das, Eoin Morgan, Iqbal Abdulla,Jacques Kallis, James Pattinson, Laxmipathy Balaji, LaxmiRatan Shukla, Manoj Tiwary, Manvinder Bisla, Shami Ahmed,Pradeep Sangwan, Rajat Bhatia, Ryan McLaren, Ryan ten Doeschate, Sachitra Senanayake, Sarabjit Ladda, Sunil Narine and Yusuf Pathan.